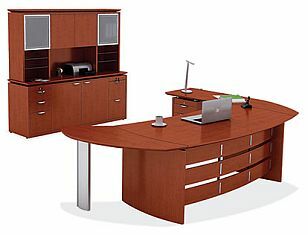 This is wood veneer executive curved desk available in 2 sizes. It also has a return with drawers or an empty desk extension that can be added on to the desk. Cherry wood veneer only.